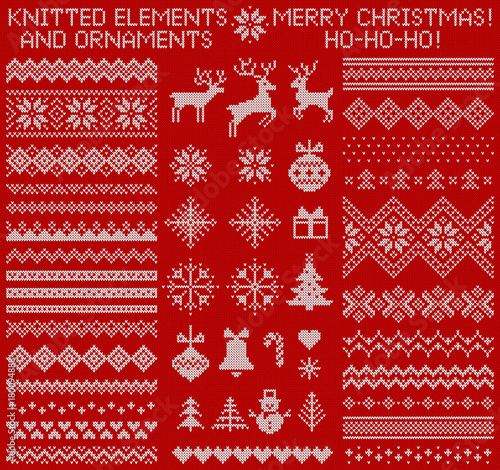 Knitted elements and borders for Christmas, New Year or winter design. Sweater ornaments for scandinavian pattern. Vector illustration.